How do you diffuse essential oils on the go? 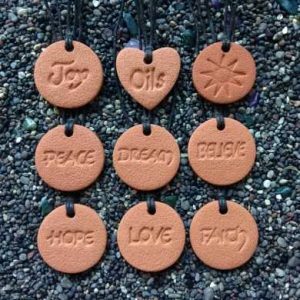 Of course, you diffuse with a Terra Cotta Pendant but did you know there is a simple and effective way to diffuse essential oils in your vehicle? 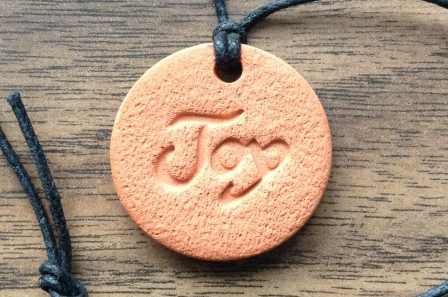 Terra cotta clay is the best diffusing medium, barring none and we know that’s what you want in your car. So we designed pendants for the Car with short cords so you could simply tie them to your rear view mirror. But my dad said it was inconvenient and difficult to untie them to refresh them with more oil and awkward to tie them back up again. So we came up with a better solution. Check out the video below to see what we did and how the Car Diffusers are different from the Pendants. The magnetic clasps make the car diffusers very easy to use. (See this in the video). They are easy to remove, refresh with more oil, and replace again. Strong magnets allow you to connect them without even having both in your sight – just get them close and they will find one another! 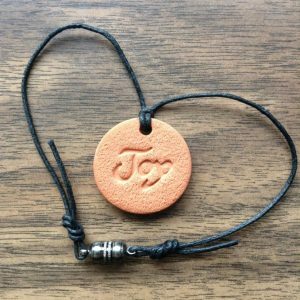 And a drop of essential oil on a Terra Cotta Pendant car diffuser will diffuse for 2-3 days depending on which essential oil you use. Recently we added six more designs to the Car Diffuser Category. What great gifts they make, or partner gifts to essential oils. You can hang them in your kitchen, in the nursery, or the bathroom– anywhere in your home–or office–too! 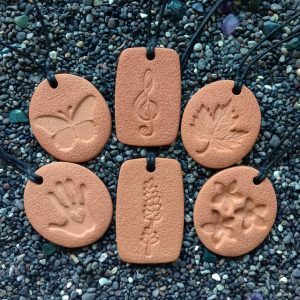 Butterfly, Spirit of Music, Maple Leaf, Caring Hand, Lavender and Serendipity.